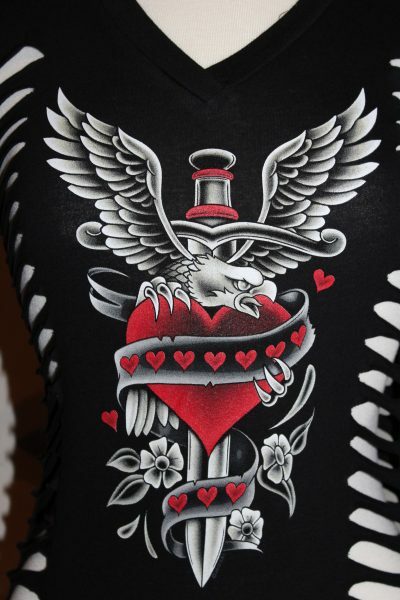 The Hot Leathers Eagle And Hearts T-Shirt is a single sided print in black. 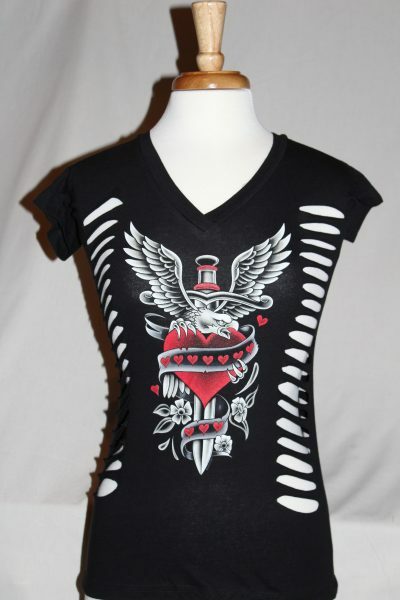 Front Design Only: Eagle, hearts, and roses superimposed over a knife. This shirt features the side slit design. Slits are cut on the front and back. Hot Leathers Apparel 100% cotton cut and sew fashion garment.